I mention this because I think their reaction underlines the reality that the HR-V isn’t the newest and shiniest jewel in Honda’s SUV crown. 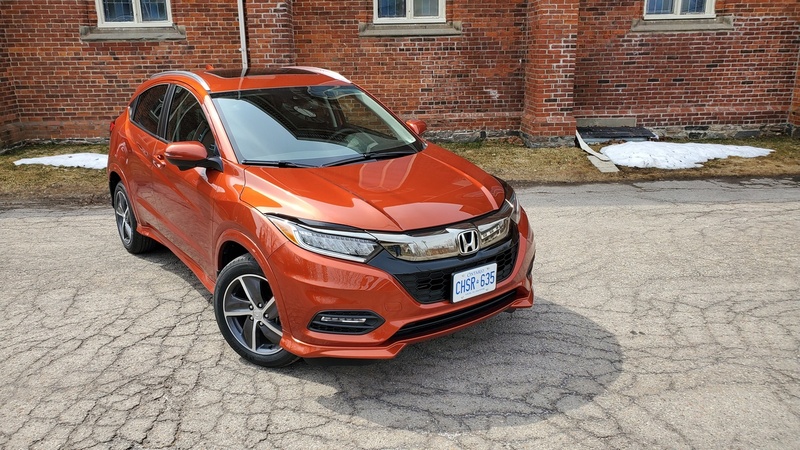 It’s not a sales leader, it isn’t the most exciting to look at or to drive, and it doesn’t matter as much to Honda’s fortunes in Canada as other vehicles in the manufacturer’s lineup. It isn’t the CR-V, in other words. Despite its lower profile within the Honda family, the HR-V is also a fine vehicle as I learned after spending a week driving one recently. But I’ll get to that. 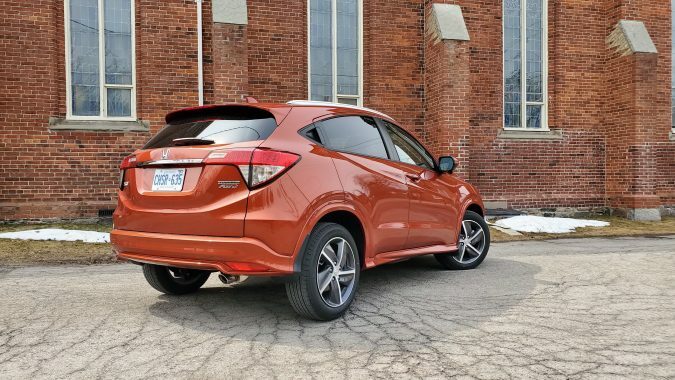 For the uninitiated, the HR-V is a subcompact SUV / crossover that shares a platform with the Honda Fit hatchback. 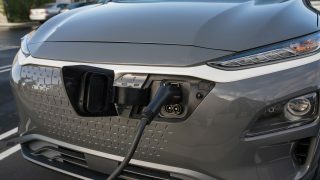 A first-generation model was sold in Australia, Japan and a few other Asian territories between 1999 and 2006, but the HR-V didn’t arrive in North America until the second-gen model went on sale in 2015 as a 2016 model. The HR-V lineup consists of three main grades: LX, Sport and Touring. 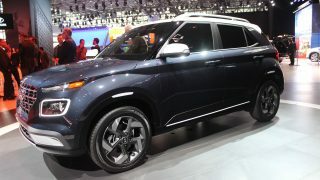 The LX is available in front-wheel and all-wheel drive, while the latter two are equipped with standard all-wheel drive. 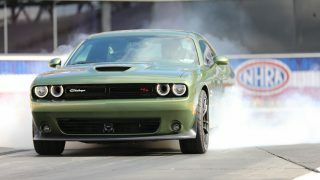 All models are powered by a 1.8-litre 4-cylinder engine (141 hp / 127 lb-ft.) paired with a CVT. The 6-speed manual transmission has been dropped for 2019. 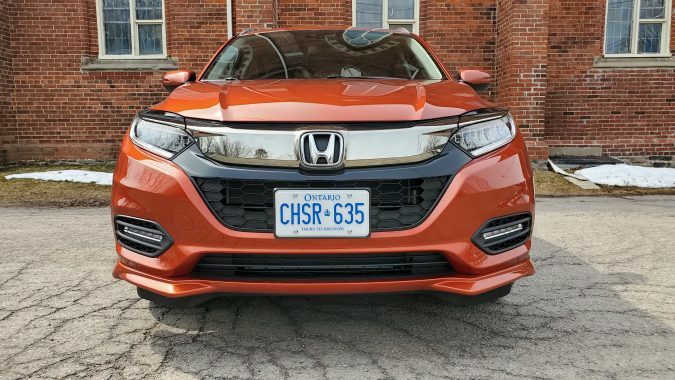 The HR-V receives a mid-cycle styling update which includes new bumpers, headlights, grille and taillights. 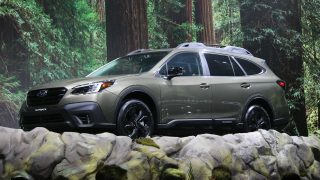 The new Sport trim gets unique styling details including black trim accents and 17-inch wheels, while the top-end Touring comes standard with multi-element LED headlights, dark chrome trim and LED fog lights. 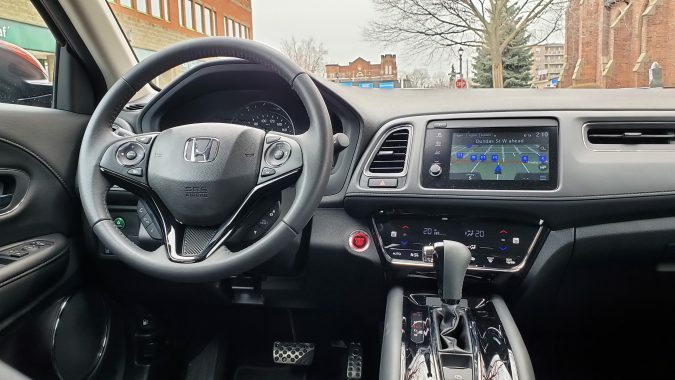 Inside, the HR-V has a new display audio system with a simplified interface that includes a volume knob, along with Android Auto and Apple CarPlay. 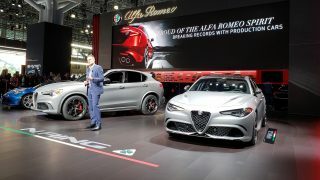 The navigation system, which is standard on Touring models, gets sharper graphics and all models have a redesigned driver’s meter and larger analogue speedometer and digital tachometer. 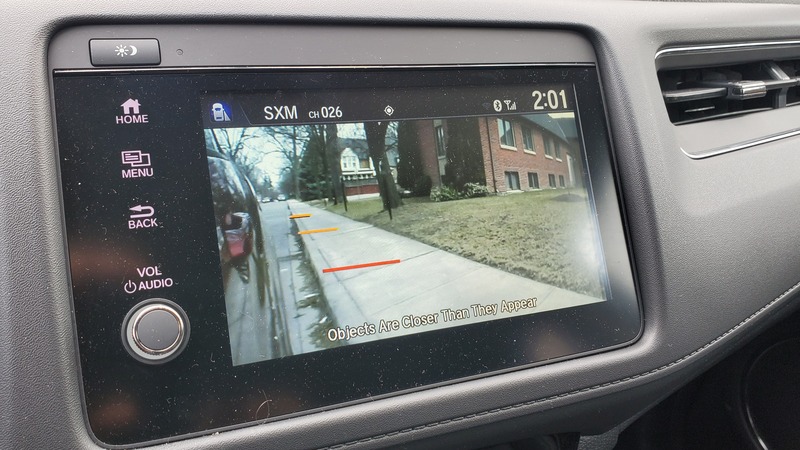 Finally, Honda Sensing, a package that includes lane keep assist, forward collision warning and lane departure warning among other features, is now standard on all models. 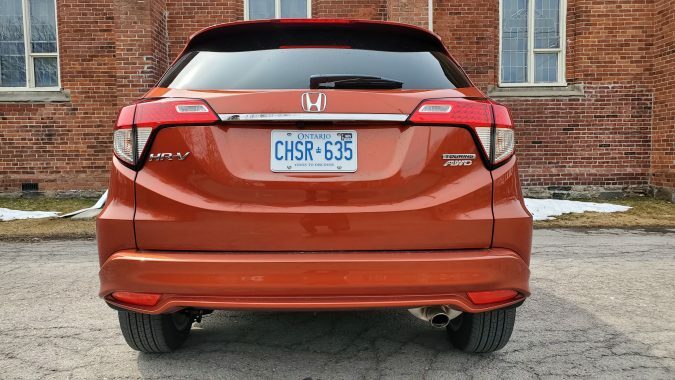 For this review, Honda Canada furnished me with a fully kitted out Touring model finished in orange burst metallic that carries a $32,000 MSRP. 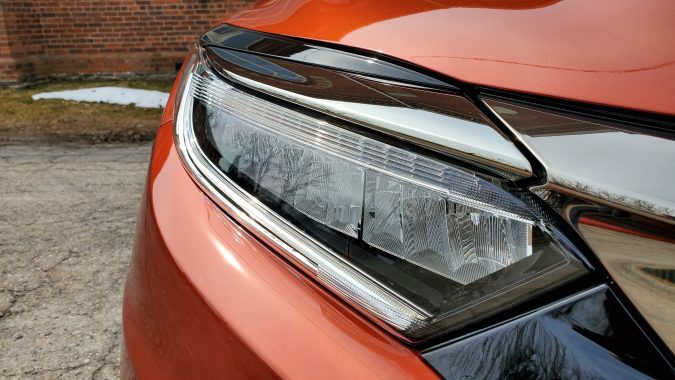 To these eyes there’s nothing fancy about the HR-V’s looks. Unlike its rivals, like the Hyundai Kona and Toyota C-HR, the HR-V cuts a more conventional small SUV profile. The styling refresh has made it more attractive, especially in Touring trim, but the HR-V’s styling still isn’t very exciting. 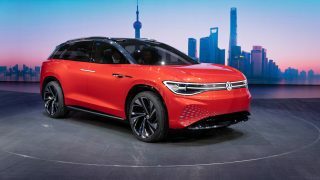 But it’s not ugly either, and the LED headlights, body-colour side garnishes and 17-inch alloy wheels jazz things up a bit for those that choose the Touring model. 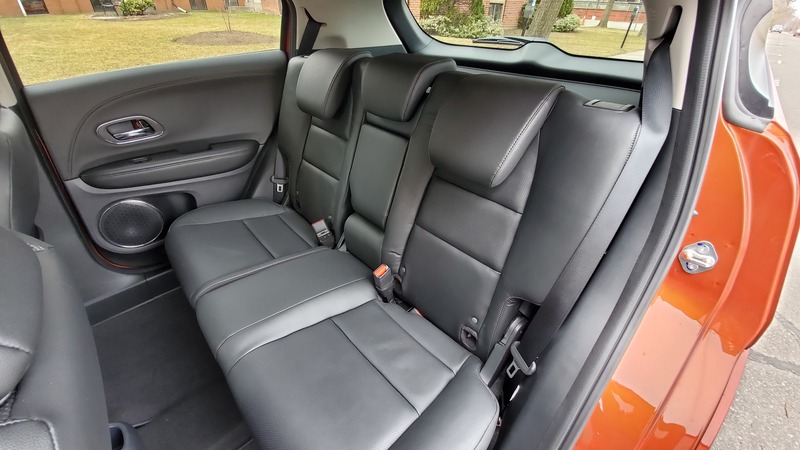 On the inside, the HR-V is clean and contemporary and loaded with features. Touring models come standard with leather seating, heated front seats, navigation, satellite radio, Android Auto, Apple CarPlay and more. The leather-wrapped steering wheel and shift knob are nice touches and, when combined with supportive seats and a good driving position, make for a pleasing driving experience. 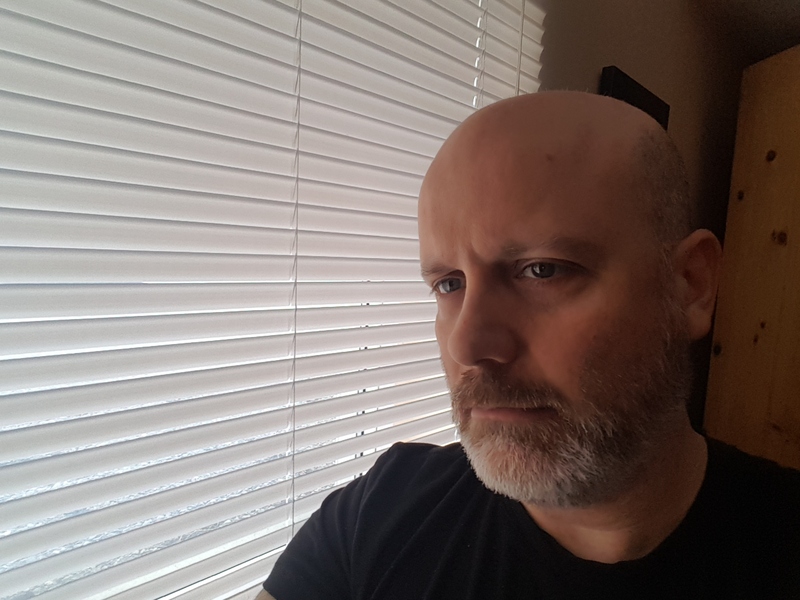 There’s nothing fancy here, but there’s a lot of stuff and it all works well. 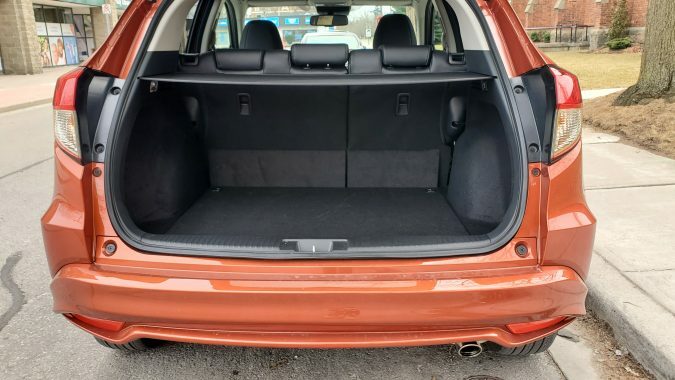 Passenger space is roomy up front but it’s quite a bit tighter in the rear where a sloping roofline makes access a bit tricky for taller occupants. Foot and legroom are decent, as is headroom for outboard passengers thanks to indents in the headliner. 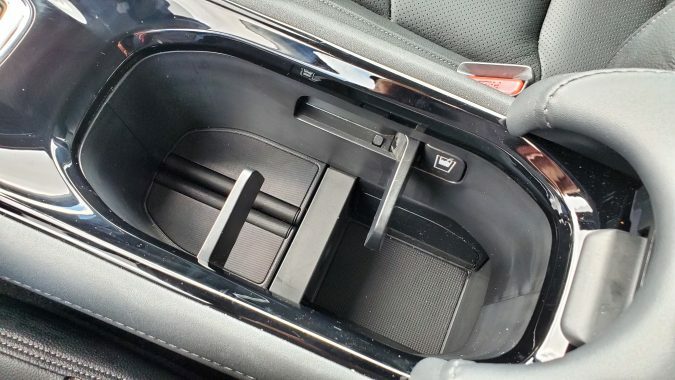 Those that ride in the middle seat have no extra headroom, however. Cargo space is also a bit limited with the rear seatbacks up but expands to an impressive 1,583 litres when they are folded. In terms of the drive, the HR-V has a reasonable amount of zip off the line and in traffic from the 1.8-litre 4-cylinder. Peak torque comes in at a relatively high at 4,300 rpm, but the engine is willing and feels responsive despite its modest output and lack of turbocharging. 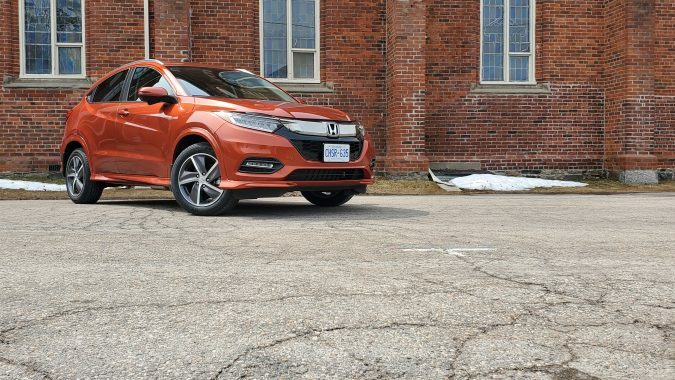 There is a sport mode and the Touring model comes with paddle shifters, but they feel a bit redundant in a vehicle not designed for performance like the HR-V. 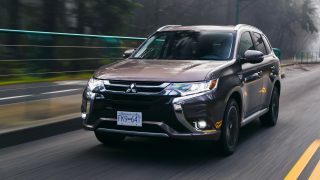 The ride quality is decent for a subcompact SUV with a short wheelbase – a bit jiggly on rougher tarmac but decent overall. 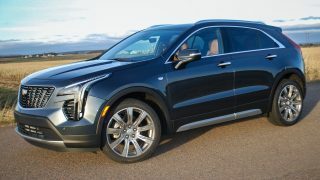 The handling feels secure with steering that is responsive for an SUV. Cabin noise is reasonably well supressed thanks to active noise cancelling which is standard on Sport and Touring models. Overall, the HR-V Touring delivers a lot of equipment in a handsomely styled packaged for a competitive price so finding fault is difficult. A couple of annoyances did stand out, however. 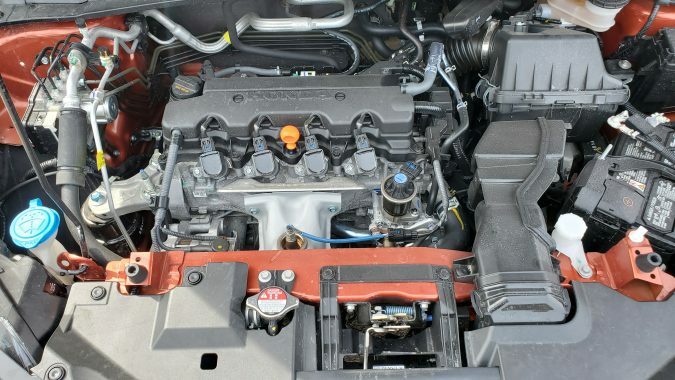 First, the CVT lets engine revs wind up for too long before moving to the next pre-selected point. Doing so gives the powertrain a rubber band quality that comes with an audible drone. It can become a bit irritating after a while. 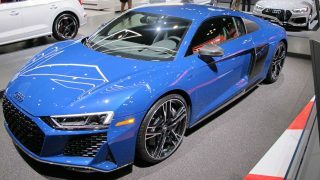 The second thing that rankles is fuel consumption which was high for a small, modestly-powered vehicle. I realize fuel economy varies, but a 9.3 L / 100 km average during my week of driving was disappointing. 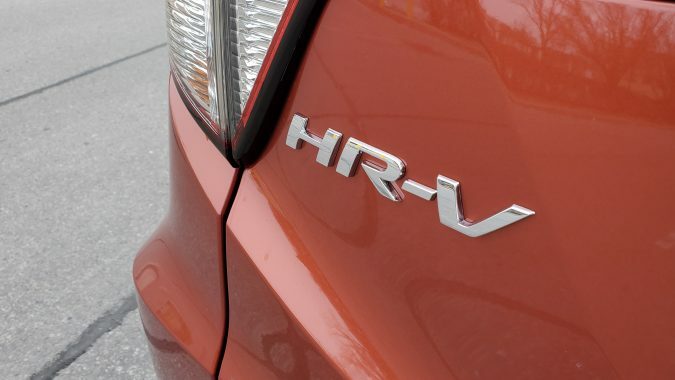 These aren’t deal-breakers, however, and don’t upend the HR-V’s overall value proposition. 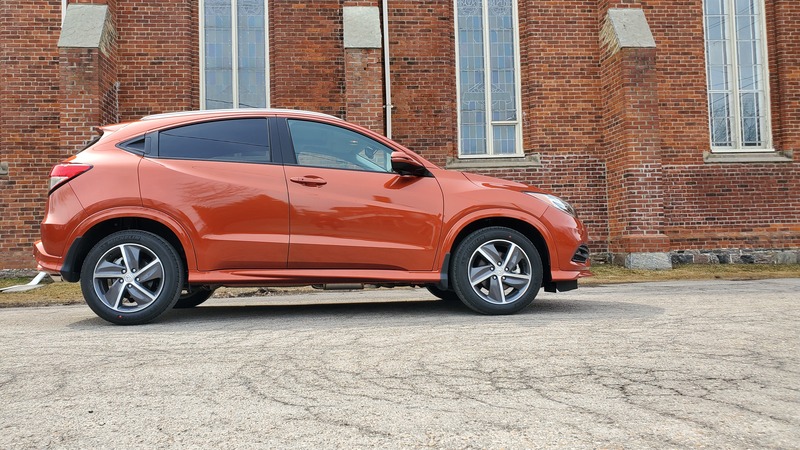 It’s still very much a vehicle worthy of consideration for those in the market for a subcompact SUV.